I’m always fond of simulation games. It could be that I’m a control freak and like to line all my ducks in a row, or maybe it’s just that I like playing god. 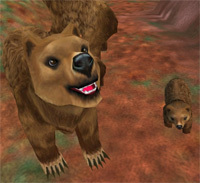 Zoo Tycoon 2 is able to grant you godlike abilities and all the while you can come down to earth to visit for a while to mingle with your zoo guests and animals. That and if you haven’t hired a zookeeper, you’re responsible for scooping up the poop, you deity you. For God sent his only begotten…*rotten tomato*…. Alright, fine! . …No more Jesus jokes, I swear! In any case it’s an interesting game to play; now I’m going to review it. 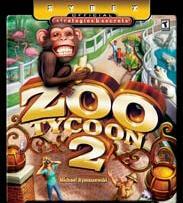 Zoo Tycoon 2 allows you to play the game in one of three modes. There’s Campaign, Challenge and Freeform. Campaign mode has you reach certain objectives before you are able to continue to other scenarios. The great part about this mode is you’re able to unlock certain items that carry over into other modes. Challenge mode makes use of the first person mode where you walk around the park as if you were a visitor and take pictures of the animals. Based on which objectives you complete your zoo will receive grants to continue to expand its horizons. Freeform is just exactly how it sounds. All of the items and animals are at your control and you have unlimited funds to run rampant. All in all there’s plenty to do but a lot of the goals and challenges started to look the same after a while. I didn’t feel like anything was particularly innovative about the way the different modes were set up. The graphics of the game are decent. The good news is that you can tell a flamingo apart from a peacock. 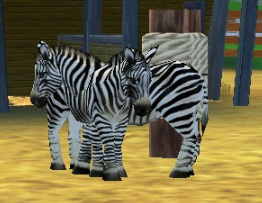 The bad news is that the graphics are so buggy that at one point in the game I ended up with a two-headed zebra. Don’t believe me? I have a picture to back that up! I will say, however, that the icons used in the game were self explanatory and very user friendly. By graphics alone I could tell when someone was ticked off at not being able to eat ice cream or when an elephant needed a bath. In the end, great pictures are not so great when you run into great buggy pictures. Not only did I witness a two headed zebra, but I also gained the ability to walk through trees. The sounds in the game impressed me in the way that the animal noises were very realistic. When I heard the peacock call, it took me back to a time when I visited the Columbus Zoo as a child and chased around a bird, trying to get it to drop a feather. The zebras, elephants and bears all sounded very realistic so I applaud Microsoft Game Studios on wherever they got those samples. The cheers from zoo guests while watching animals were pretty fun too because it was validating in a way. The only thing I had a problem with was the total absence of music. Sure, there was an appropriately jungley theme on the opening screen, but once you started playing the game it was all just animal calls and the occasional crowd cheer. I actually caught myself humming at one point because silence during a game can be really uncomfortable. I was going to try my hardest to keep from comparing this to the Sims, but in terms of control Zoo Tycoon 2 could have learned a lot from that particular simulation game. I was used to plunking objects down and swiveling them around to fit the available space in a few quick motions. 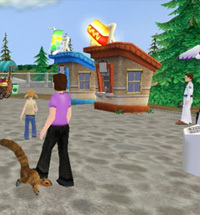 In Zoo Tycoon 2 had you navigate through various menu screens to arrange objects to your liking. If you didn’t want to navigate through the menu screens you could always consult the manual on the hot-keys available. Even with the help of your keyboard, it wasn’t an intuitive game control system. The last thing I wanted to do was sit down and memorize every key in the manual when my guests were demanding access to a new gift shop. In terms of replayability this game has the goods. Even if you make your way through all the goals and challenges, the freeform mode is still ready for you to access and play. There are endless possibilities in the type of zoo you can create. If you want a particular theme or want to feature a certain animal you can. If you want more adults than children at your zoo, you can sell coffee and sushi instead of soda and hot dogs. You can make an upstanding zoo where everyone is happy or you can make your tigers angry and decide to get rid of their cage. The possibilities of game play really make this an interesting option when playing scenarios over and over. It is easy to get bored with the same goals though, so if you want a game that you can play again and again the freeform mode is your best bet. The game was fairly balanced from the beginning of things. 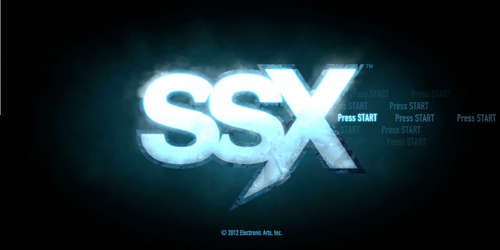 It was great at setting things up easily in the beginning to allow you to get a handle on the game mechanics. However, I felt that after a few levels it wasn’t getting very much harder. Even Challenge mode wasn’t all that challenging because all you needed to do was build your zoo to a point where you could take the required pictures. I think in a simulation game, it’s hard to make things truly challenging because all you’re trying to do is wrap yourself up in a separate world. The only thing that was done to make things harder was making your finances tighter. If you take that into account this game was pretty average when dealing with its difficulty level. Here begs the question, “How original is a sequel?” Also, it’s another simulation game. When the original Sim City came out I called that a breakthrough. When another simulation game comes out and there’s no real distinguishing quality that breaks it from the rest, I don’t feel that it wins the originality medal. In a way it’s over saturation, so why is it being released? Because the first one sold and this one will probably sell. Don’t mistake the title. There are true Tycoons trying to back up seller after seller in the gaming community. Think of reality tv. Why are they still making those kinds of shows? Because someone will watch them. /rant. Don’t get me wrong, there’s nothing wrong with sequels or simulation games, I just want something palatable that distinguishes it in my mind from the rest of the games on the shelf. If I were only allowed to say one good thing about this game, I would have to tell you how addicting it is. I can whine all I want about the absence of music, buggy graphics, and the need for a challenge but it didn’t stop me from playing the game for hours on end. I kept wanting to see what new animals I could adopt or what kiosks I could research. Setting up different biomes and habitats to mix animals was a great experiment. I also liked to play around with the types of crowds my zoo could appeal to. There are hours and hours of game time that open the door to what feels like unlimited possibilities. How can you not play with that. I also have to admit that I’m oddly compulsive about decorating since I moved into a house (vs an apartment) so color coordinating different cages, walkways and kiosks turned into a fun job for me. So let me attach the Surgeon General’s Warning: Do not use with heavy machinery…err… I mean. WARNING: ADDICTIVE! Here is where I inhale deeply and let out a huge sigh. I install and play games on my PC all the time without running into problems. (Okay, so there was a time this past May that my entire hard drive collapsed but that was because it was five years old!) My computer is up to spec in many ways. Not so overpowering, but I’d like to think that I’m keeping up with your average consumer. I had so many problems on the start up with the slowness of the game that I actually looked at what Microsoft stated as system requirements. I exceeded every requirement from processor to RAM to my hard drive space. I couldn’t figure out why it was running so slow and why on occasion it actually restarted my computer for me. Thinking that my computer now hated my guts, I popped in another game that uses a lot more RAM and processing power and discovered I could play without incident. I’m not sure what happened with Zoo Tycoon but the game actually starts slowing down the longer it runs. Since this is symptomatic of a memory leak, I’m wondering why this wasn’t caught before the game was shipped. In the spirit of selfishness, I couldn’t find anything wrong with other games running on my PC so I’m prone to blame the game. In the meantime, I’m keeping an eye on my computer for any more odd behavior in case it decides to prove me wrong.